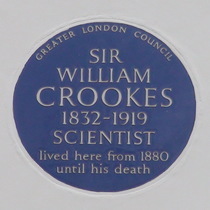 Sir William Crookes, 1832 - 1919, scientist, lived here from 1880 until his death. 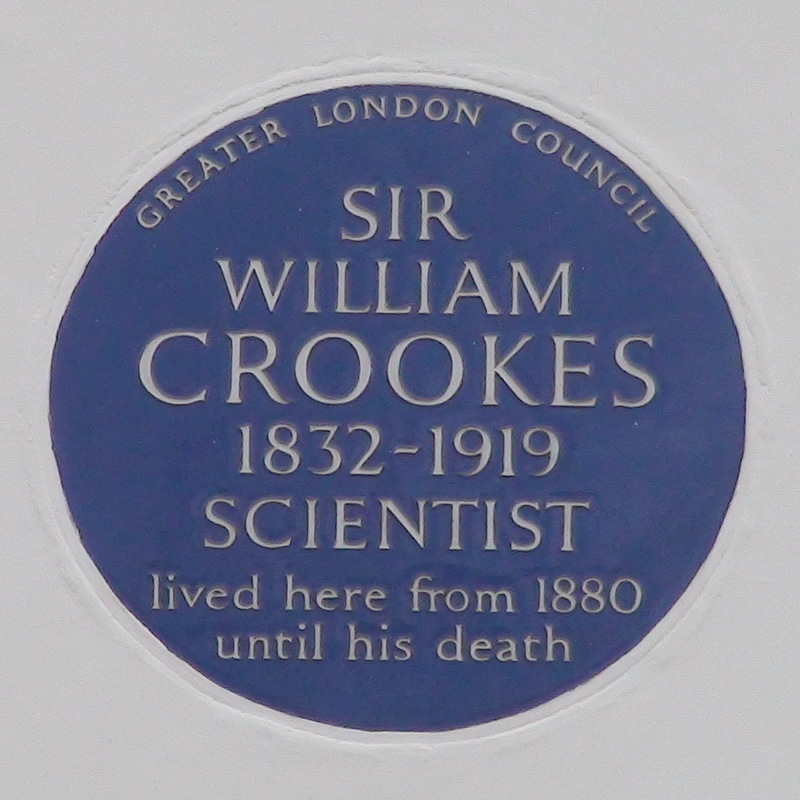 Crookes had a private laboratory here made possible with the inheritance from his father. At least some of the seances that he investigated were held in this house. Greater London Council George Edmund Street, 1824 - 1881, architect, lived here.